Vocaloids represents so much more than just holograms, but like any innovation, positive reception is not universal. That’s fine, generally ludicrous knee jerk reactions would be countered by educated rebuttal pretty quickly. 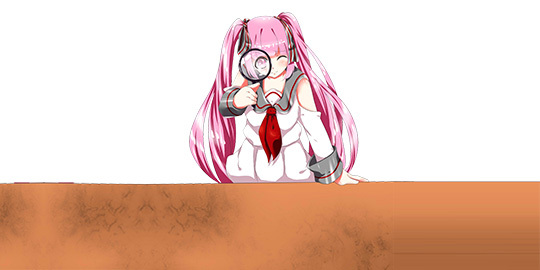 However in the case of Vocaloids, unfounded accusations and stereotypes are allowed to stick, supporters up to now have allowed discrimination to become a fact of life while scholars overlook them, resulting in a lack of authoritative voices countering the negative bias. Bias is gradually choking the development of Vocaloids as channels for the free expression by depriving them of new audiences, we have to stop this. It is time for someone to step in and defend the future of the Vocaloid community by telling the other side of the story. Raising up to the challenge is Project Hashi, the first popularly supported academic inquiry. Funds for our work comes from crowdfunding campaigns, the very existence of a large community willing to combine resources for the further intellectual understanding of Vocaloids will finally put what perhaps is the most pervasive myth regarding Vocaloids to rest, that is that they are soulless, manipulatable objects constructed by faceless corporations for fringe elements of society who values nothing other than visual appeal of the characters. Vocaloids have been overlooked by scholars until now, because there is no motivation for them to investigate, Vocaloids do not fit in traditional genres, it is uncertain how much academic a research could incite, thus making them a risky investment of time and effort for investigations. But Project Hashi, a popularly supported academic inquiry clearly indicates that the public has a huge appetite for such knowledge, even willing to fund researchers themselves. This will convince scholars to take the first step into the world of Vocaloids, building up authoritative support for the community to be placed on the same level as other forms of art and kindle the flames for a second boom in composition. Our project is created by the community and for the community, thanks to the enthusiastic support of volunteers like you, we could get this quest to revitalize Vocaloids off the ground. Whether by pledging financial support during crowdfunding campaigns, contributing ideas for the inquiry or becoming a member of the planning committee running the project, you are making history, you’re fighting against discrimination and enlightening the world with a revolutionary form of art. Why is Vocaloid composition slowing down? There are numerous factors, but the most significant ones are the declining reach of this platform and the lack of appreciation to motivate producers. How can an academic inquiry lead to resurgence in composition? An academic inquiry could iron out the two major issues mentioned above. Firstly the limited reach of the Vocaloid platform is primarily due to the general public’s fear driven refusal of contact, the fear of being associated with fringe elements constantly surrounded by derogatory myths. This fear will naturally wind down if authoritative voices began to dispel such myths, by conducting an academic inquiry, we will be that voice, and Vocaloids thus could expand into the mainstream. Secondly essays devoted to the interpretation of a work is a sign the importance of the message embedded and the artistic value of the work is significant. This is one of the utmost respect that could be earned by a producer, so it serves as a powerful motivator. Have anything similar been tried before? Vocaloids have been mostly overlooked by researchers and scholars until now, there are virtually no scholarly articles on the topic of Vocaloid works. There are perhaps one or two books written about the Vocaloid phenomenon itself, but they have a technical point of view and did not involve much academic research nor public involvement. Project Hashi is unique, as a popularly supported academic inquiry, we involve the community from the very beginning of the research, keeping us in constant contact, and thus constantly in the mind of the public. Will there be follow up action after the book is published? Project Hashi is an ongoing effort to revitalize Vocaloids, we have a long way to go and the publication is just the beginning! The community we built for this project shall serve as a focal point for the discussion and interpretation of new compositions, also as a source of positive information, striving to bust stereotypes emerging in online and offline discourse before they harm the Vocaloid community. We are a group of concerned Vocaloid supporters who refuses to allow myths and prejudice to set a limit on how far Vocaloids can take us，building a revolutionary crowd-supported campaign that will bring much needed attention to Vocaloids from the academic world.